For as long as they could, people tried saving a secondary school from closure in a small village of Gulbene, some 200 kilometers east of Latvia’s capital city, Riga. With fewer than 50 students enrolled in the school, it was shut down in 2011. Constructed as a school by the Baltic German barons in late 19th century, the building was built to suit the needs of local peasant children. After the school’s closure, it was turned into an old people’s home. The building was insulated, divided into small rooms; a modern elevator was installed. A few years later, a similar fate awaited a secondary school 15 kilometers away, with only 5 students enrolled in grades 1 through 4. 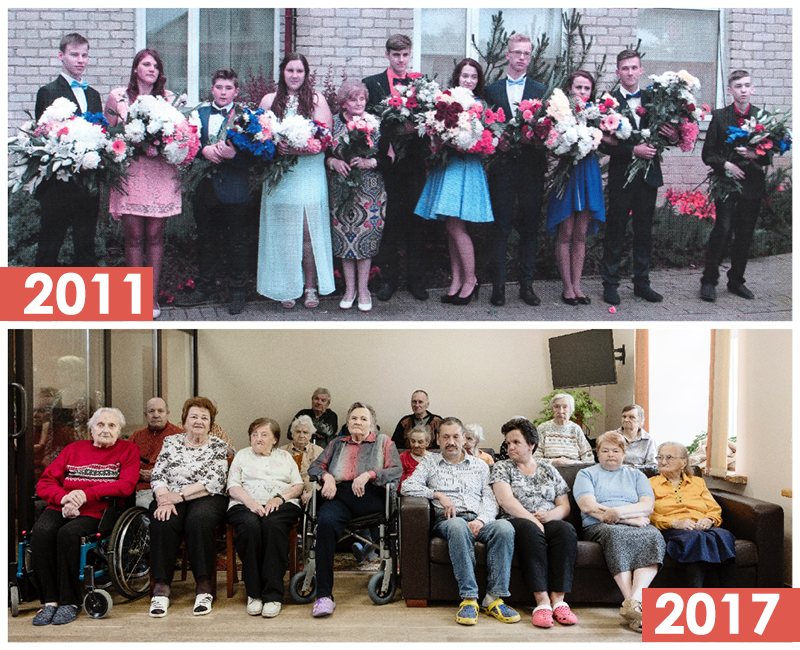 In 2016, the school celebrated the 90th anniversary by opening an old people’s home on the first floor of the building. As a compromise, the second floor housed a kindergarten for a few remaining kids. It was closed a year later. Repairs are about to begin at a former trade school in Jaungulbene, a mere 20-minute drive away. It will house around 90 elderly people. The municipality took over the building’s management from the state, which has already invested about 1 million euros to improve its insulation. The municipality will invest another million from its own coffers. They are not worried about the shortage of clients. There will be no shortage of old people to live in these homes. People are already waitlisted. Gulbene has already sent 21 to neighboring municipalities due to the lack of space, says the head of the local social services Jānis Antanēvičs. Re:Baltica has found at least 14 schools that have been turned or are planning to turn into old people’s homes. There are already 133* public and private assisted living homes housing around 6,000 people. This number will only increase in few years. Demographically, Latvia is in the downward spiral. People age. Birth rates cannot catch up with deaths. 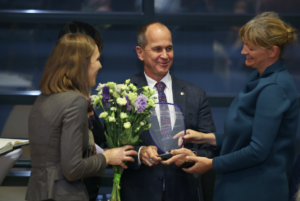 Since Latvia regained its independence in 1991, more than 250,000 working-age people or over a tenth of the inhabitants left the country to work for a bigger paycheck in the rest of Europe. Families often leave with them, robbing Latvia of the next generation of taxpayers. 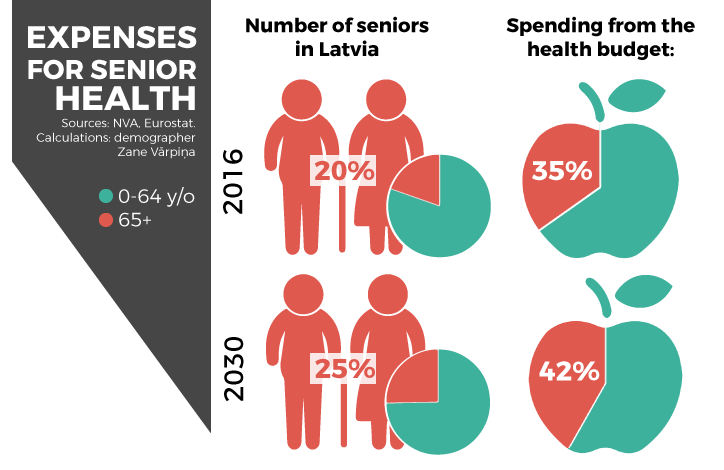 By 2030, nearly half (46 percent) of Latvia’s residents will be over the age of 50. Every fourth Latvian will be a pensioner over the age of 65. The number of working-age people will shrink by one fifth. They will have to work longer and pay higher taxes in order to support the state in its current form. The alternative is to open the labor market to foreigners to which the majority of country’s population is fiercely opposing. In 1990, it took six working people to ensure the state funded pension for each retired person. Today, it takes three. By 2030, the number will drop to two. The locally popular hope that Latvians will be able to speedily increase the country’s birth rate to solve job market gaps is unrealistic. In 2016, 22,000 babies were born in Latvia. Eurostat, the EU’s office of statistics, shows that in 2030 there would be only 14,000 babies. If nothing changes, Latvia, where even today small towns are spookily empty in the evenings, will become even more quiet by 2030. There will be fewer people. The large portion of them will be old. It will change the county’s mood and vibe. 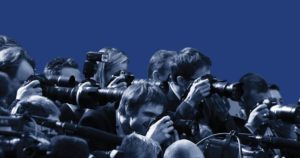 Politicians will have to focus on the conservative population, who are active voters, making the country even less attractive to younger generation. “The presence of the new talent in a city speaks to the city’s future. If the city is only for old people, young people will not move there as there is nothing for them. That’s a bit depressing from the point of view of the overall mood,” said Toms Kokins, an architect who specialises in the urban environment and making cities liveable in 21st century. Līna Kozlovska is 91 years old. She likes bright blouses, beads and rings, which are on every one of her fingers. Sunken in a chair, the old woman smiles inwardly as she swings her legs. Kozlovska arrived at the old people’s home “Siltais” a year ago, when she lost all touch with reality by taking part in the lottery that promised a possibility to win million by buying household goods, such as kitchen appliances, toys and nutritional supplements. Using her 200-euro-a-month pension, she bought a mattress and at least six books about healing possibilities of plants at 29 euros each. She is still waiting for her million. Kozlovska grew up in Russia. Moved to Latvia , she worked at a collective farm in the Gulbene area. Both of her sons have died. The closest relative are her granddaughter with three children and her niece, whom she often asks to go to the bank to fetch the million that she had won in the lottery. When dementia set on and she began losing her mind, the niece took her in to live with her in Ventspils, a coastal town once famous for Russian oil transit. But living together was hard. “I worked during the day, but I could not leave Līna alone,” says the niece, who herself is staring at the retirement and declined to give her name. At first Kozlovska was sent to the hospital in Liepāja, a city on the Baltic sea coast. Then, she was admitted to a psychiatric hospital in the town of Strenči. It seemed like Kozlovska was about to die. Two weeks later, “as a miracle, her mind had returned and we, by pulling few strings, put her in the recently-opened old folks home,” says the niece. 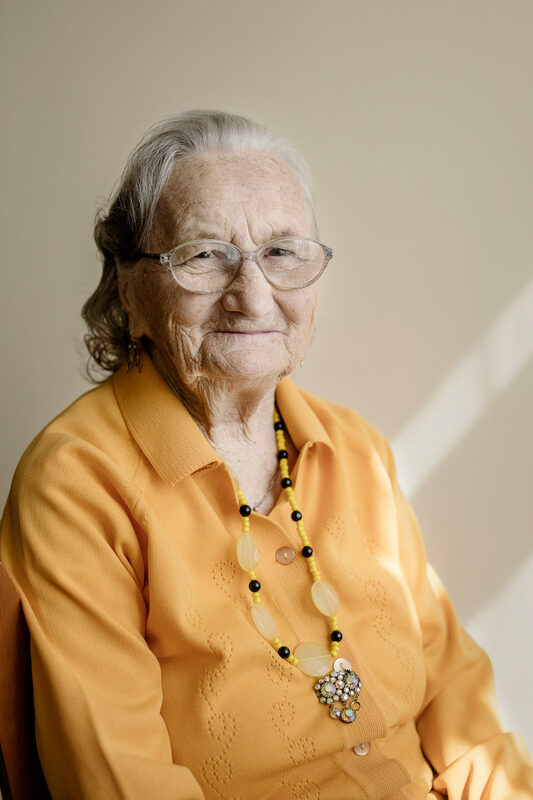 The local municipal government pays for Kozlovska to stay at the old people’s home as her sons have passed away and there is no one else to support her. Stay at municipally owned olp people’s home costs inhabitants 90 percent of their pensions. What is left, the patients spend on cigarettes, coffee or snacks. It costs the local government 470 euro a month to house one resident at the old folks home. Prices are similar in other municipalities, according to the analysis by Re:Baltica. The average pension in Latvia is 300 euros. 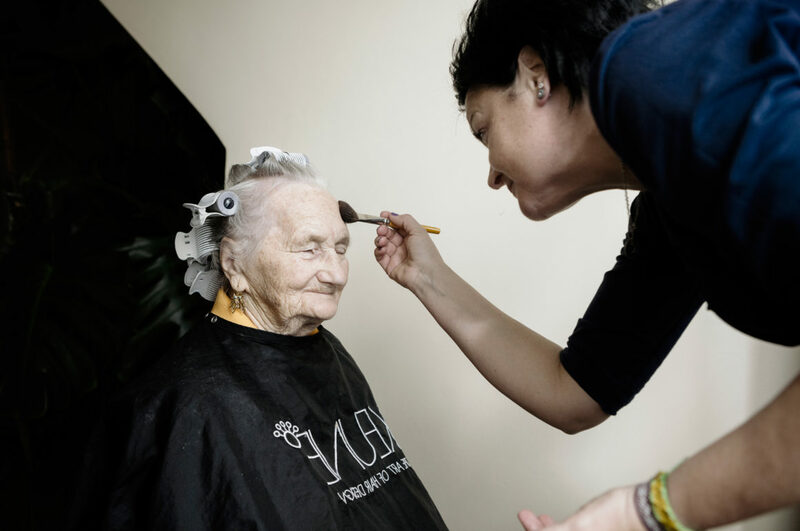 It is even less (around 200 euros a month) for the poorest clients of the nursing home in the Gulbene municipality. For those who has declared place of residence there municipality covers the gap. “You cannot get anything in return, but the situation with the old people is catastrophic. Abandoned, barely surviving on their own in their country homes,” said the former head of the local government Andris Apinītis. There are three nursing homes in the Gulbene municipality. One of them will be converted into a social housing. The local government signed a contract with the Samaritan Society, who regularly visit 70 old people, who live in remote country homes. The goal is to let the old people live longer in the society, instead of the enclosed building, such as a nursing home. It is better for the people. It is also cheaper for the local government. The Gulbene parish is a reflection of the trends seen elsewhere in Latvia. Every fourth resident is a retiree. This proportion will grow further as more and more young people will leave to go to work to the capital city of Rīga or abroad. The financing of the old folks homes costs about 25 percent of the total social budget in the municipality, which is around 600,000 euros. Three boys were playing soccer outside the building on the former school’s soccer field. The staff at the nursing home continues to take care of the field to bring more life to this desolate place. However, boys play soccer there less often than they used. “Every year municipality loses about 100 students,” Apinītis explains reasons why the local government decided to close schools in recent years. It was probably the reason why he wasn’t re-elected in the last municipal elections in 2017. The locals could neither forgive nor forget the closure of schools which are often seen as the last sign of hope in the dying regions. The only area where the population is growing is in the municipalities around capital. The young families with children are moving there to build their dream houses in suburbia while working in Riga where the similar properties are unaffordable. But even these will see the change. The most people use their cars as main means of transportation in the wealthy municipality of Mārupe, just outside of Rīga. But it may turn into the trap when they grow old. 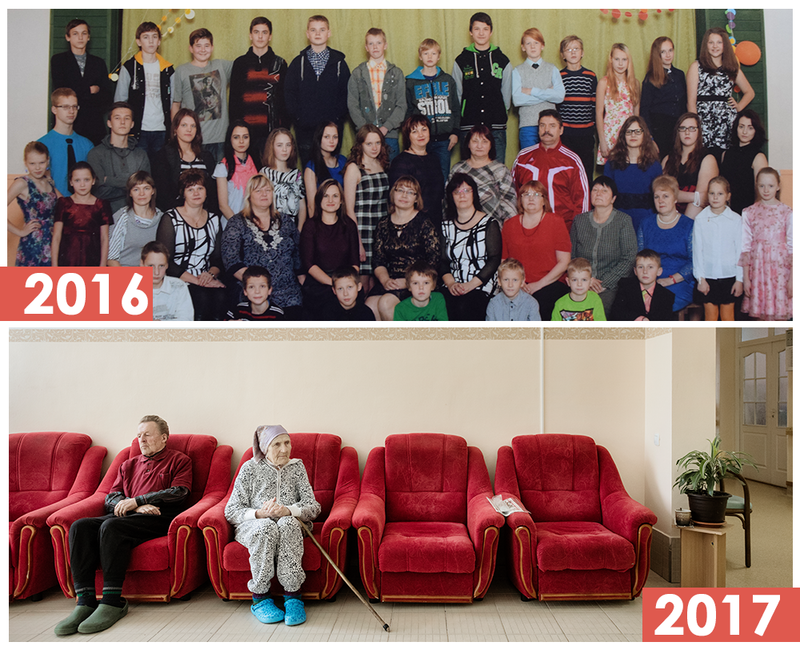 In the recent years, six new nursing homes per year have been opened in the small Baltic nation. Aging is not a uniquely Latvian problem. Europe is aging as a continent. Lithuania, Greece, Portugal, Italy will see even more pensioners per 100 people than Latvia in 2030. The key explanations is longer lifespan and low birth rates. This brings a serious burden for the health budget. Currently, the life expectancy for women in Latvia is 80 years, but only 54 years of those she will spend in a good health, UN figures show. Last year, 35 percent of the health budget went to pay for health care for elderly. By 2030, this figure will rise to 42 percent. According to the calculations of the demographer Zane Vārpiņa from Stockholm School of Economics in Riga, the increase of the number of old people in 2030 may not significantly impact the health budget, with a condition that the budget’s medical expenses will remain on the same level as they are today. If that was a case, Latvia will be spending 32 million euros more in 2030 than it does today. This increase will be compensated by the fact that the state will spend less on the young people and the working people as there will be fewer of them. At the same time, it means that the remaining working people will have to carry a heavier tax burden. Under the current laws, the government spends 797 euros on health care from taxes of one working person. By 2030, this figure would have to increase to 852 euros, according to Vārpiņa’s calculations. These calculations are approximate because it’s hard to imagine that nurses or doctors will not see increases of their currently meagre salaries. If the shortage of labor force and the increase of retirees is to be maintained by guest workers, they too will need health care. The government has a vague idea how it can happen. Lina Kozlovska, a resident at the nursing home “Siltais”, is not concerned about these problems. Her caretaker takes her by the hand, like a small child, to a room. She puts on a red raincoat and a white hat. Kozlovska is getting ready to go outside into the backyard to listen to a Midsummer Night’s concert. She smiles all the time. She looks really happy. Only from time to time she remembers and reminds people that she has millions in her bank account. *Edit: There are 133 public and private assisted living homes in Latvia.